Rizzoli Automotive’s customers love their Volvos, and with good reason. The Volvo has been a standard-bearer with its excellent craftsmanship and dependability. Volvo manufacturers designed a vehicle you have enjoyed immensely because of its reliability, sophistication, and durability. All of Volvo’s fine qualities should be catered to by technicians that are well-trained experts in the Volvo preservation business. The superior manufacturing will only last as long as Volvo owners allow it to. Meaning, timely, consistent, and specialized maintenance are what keep your Volvo in prime conditioning. We can take care of your vehicle in every way possible. 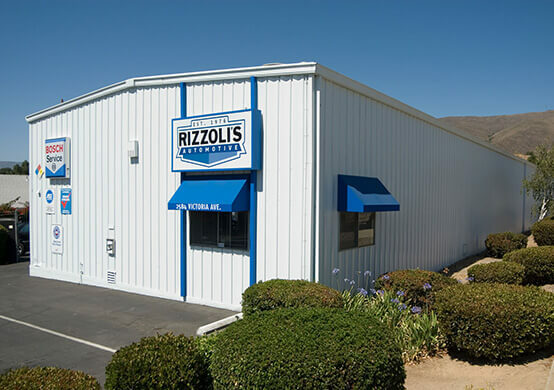 Whether you need Rizzoli Automotive for your routine service needs, like oil changes and tune ups, or you need an engine repair and replacement, we’re your best option for Volvo repair in San Luis Obispo, CA and Santa Maria, CA. Our ASE Certified Technicians have over 200 years of combined automotive experience to take excellent care of your Volvo. Never settle on a mechanic that doesn’t specialize in your vehicle. Random mechanics usually don’t have much experience with specialty brands like your Volvo. We’re the answer to your Volvo’s repair and maintenance needs. As your best alternative to the pricey dealerships, we share our own appreciation for the Volvo in every service we provide. Treat your Volvo the way it was intended, like a high end European auto with safety, comfort, and value as its principal values. Your Volvo will last a long time and retain its value for you, as long as you put it in the right hands. Never worry again about finding an affordable and experienced Volvo repair technician, because you’ve already found one. Our two convenient locations in San Luis Obispo and Santa Maria are ready to serve you today! We perform all our services right the first time, and according what’s best for you and your Volvo. Rizzoli Automotive technicians treat your Volvo like it’s one of our own. Give us a call today, or you can easily schedule your appointment online. Our services will quickly and safely get you back, and keep you back, on the road!